Electronics manufacturing now relies on silicon wafers, and it works great for many applications. However, some other applications require or benefit from a cheaper price, thinner circuits, and flexibility, and PragmatIC addresses all those three issues with technology to print electronics circuits on plastic sheets. 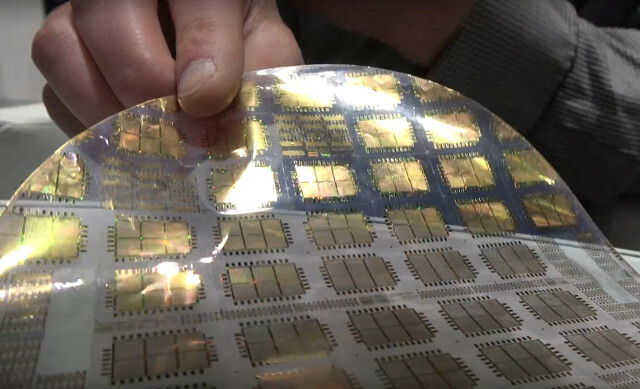 The technology is said to costs less than 1/10th cost of silicon, with the circuit printed on 10 μm thick flexible plastic “wagers” with support for 10 layers. Circuit starts from basic gates up to ARM Cortex M0/M0+ chip as shown above. 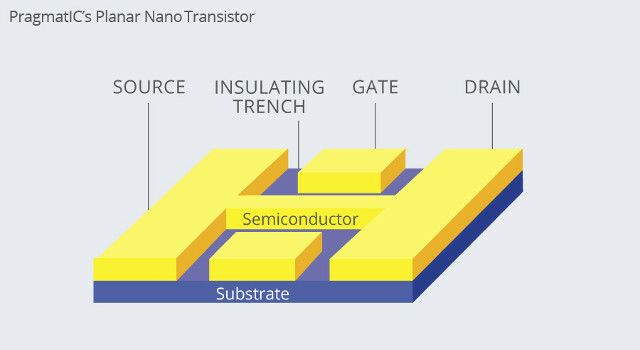 Simpler circuits are currently sold for as low as $0.01, but the area for Cortex M0 MCU is 1cm2, and a bit too big for commercial applications, so they plan on shrinking the process to make it commercial viable. ARM is an investor in the company, and PragmatIC is ramping production capacity with the ability to manufacture on billion plastic chips/circuits in 2018. PragmatIC Compute – Digital logic in silicon, such as the well-known 7400 series, timers, counters. Fully programmable processor cores are still in development… watch this space! PragmatIC Talk – Proprietary capacitive identification and LF/HF radio frequency identification (RFID) protocols. Near Field Communications (NFC) solutions are being worked on. PragmatIC Show – Solutions for driving displays or visual indicators, including conventional surface mount LEDs as well as printed display technologies: electrophoretic (EPD, e.g. e-Ink), electrochromic (EC), liquid crystal (LCD) and organic LED (OLED). PragmatIC Sense – Analogue interfaces to sense touch, light, vibration, sound, temperature, etc. Future developments include full analogue-to-digital conversion (ADC) allowing precise measurement of environmental factors. The price point, flexibility and thinness of the solution makes it suitable for various applications such as RFID or sensors directly on “smart packaging”, security for smartcard and bank notes, toys and games with curved displays, and once plastic MCU are small and cost effective enough their could be used in wearables, for example in smartwatch to offer thinner devices, or larger batteries, or integrated directly into clothes. I also imagine that eventually combining RFID or GPS with energy harvesting technology, it might be possible to have tracking enabled for all kind of goods or documents, even the cheapest ones. Charbax interviewed the company at IDTechEx discussing the work with ARM, the technology, and various applications. Gotta admit that seeing an ARM M* core on plastic is quite fascinating.. almost looks like a hoax. I wonder how this will be powered and what is the consumption?? I wonder what the equivalent gate dimensions would be in an Si process? Look like 250nm or so given how large those M0 cores and memory are, but the memory is probably a large chunk of it ans we don’t know how much it is. Still pretty cool. Cooler if one could make them at home. The era of the disposable phone. Game cartridges for handheld games, with copy protect £3. Mind you plastic degrades with time. Would a over clocked CPU melt?